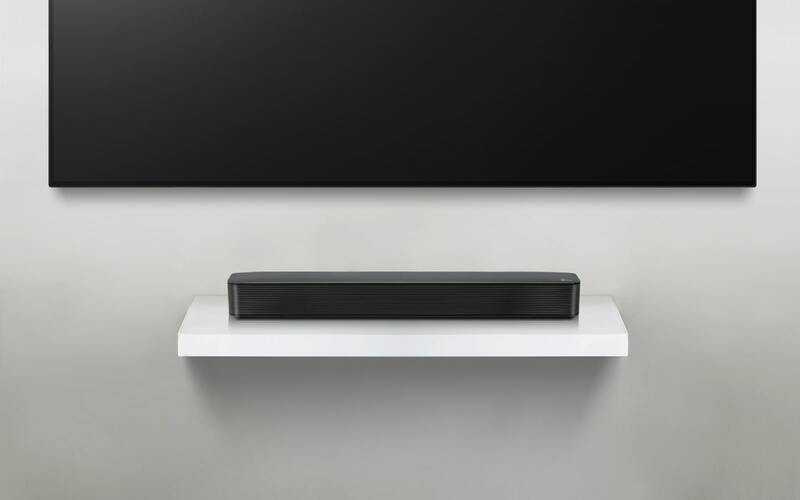 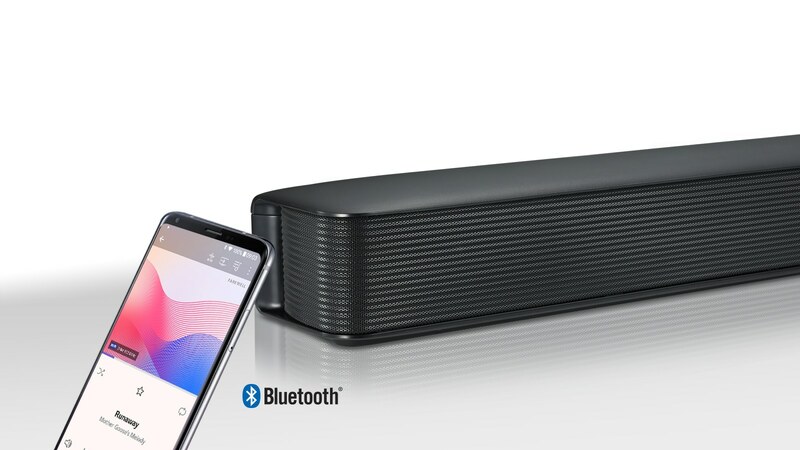 The compact sized all-in-one Sound Bar delivering a great balance of good sound and strong bass. 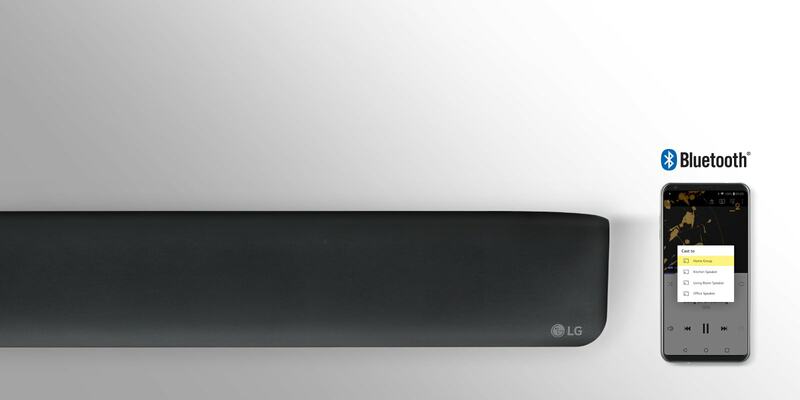 LG Sound Bar SK1 comes with its own remote but it can be controlled with your LG TV remote. 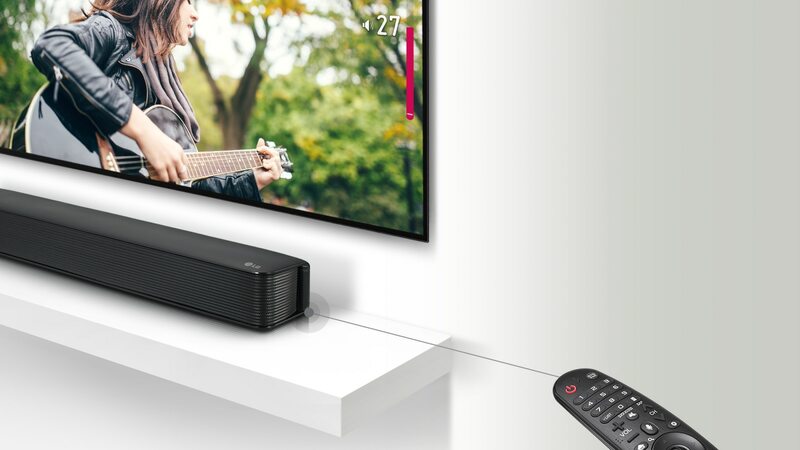 LG Sound Sync links compatible the LG television to the Sound Bar using an optical cable.